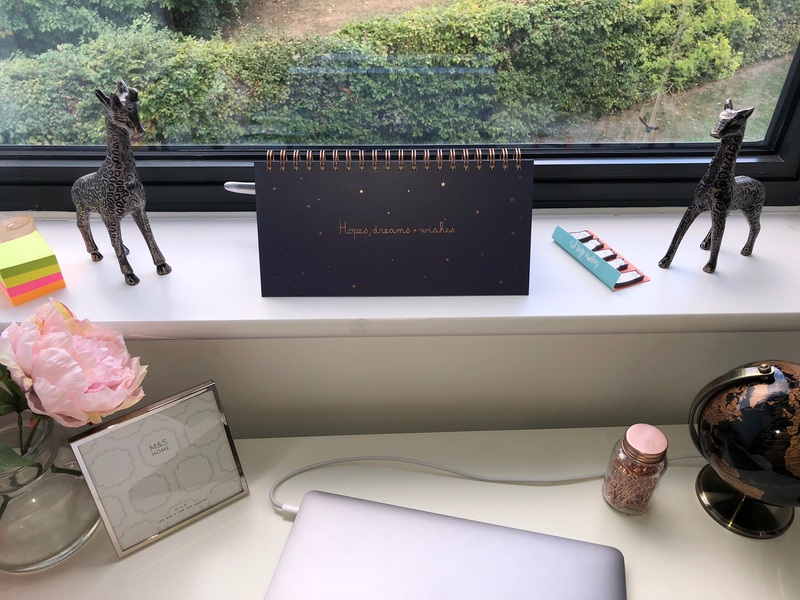 How to stay organised with a chronic illness. Planning your week. When it comes to being organised I am one for having to be. I like to know times, dates, places of where I need to be way ahead of the plan. 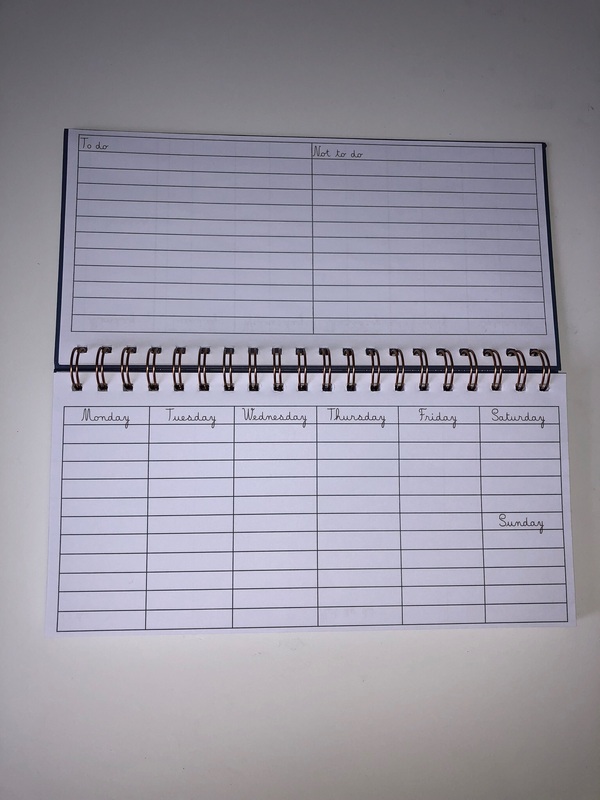 I use my planner not just for socialising, doctors appointments etc but for everyday life. 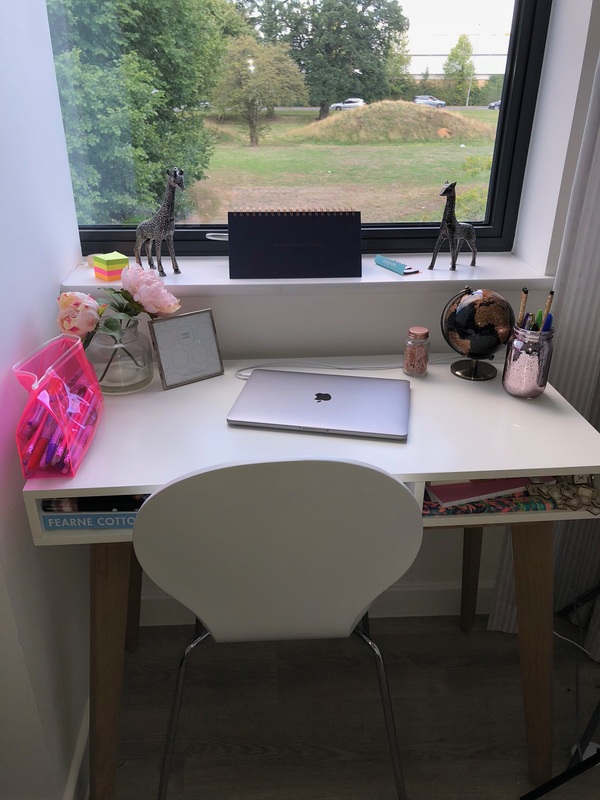 I am really working on myself at the minute if you had not realise from my self care series and planning everything is really helping me. So I thought I would share it. I work 8-5 Monday to Friday every week so most of my days are nearly full just from work. So I note work in first on everyday. Something most people would do or if not work, school or some type of education. But then I weigh up all the hours I have left in the day and split up chores or tasks I need to fit in within each day. I am really working hard on my health and trying to be a better person. Something I learnt is to split up chores so it doesn’t put so much pressure on my endometriosis or chronic pelvic pain. So this is something I am really trying to practice. Though with more hours in a weekend I do tend to like to do the big clean then. I use my planner as a check list really and try to do as much as possible off the list in the day. 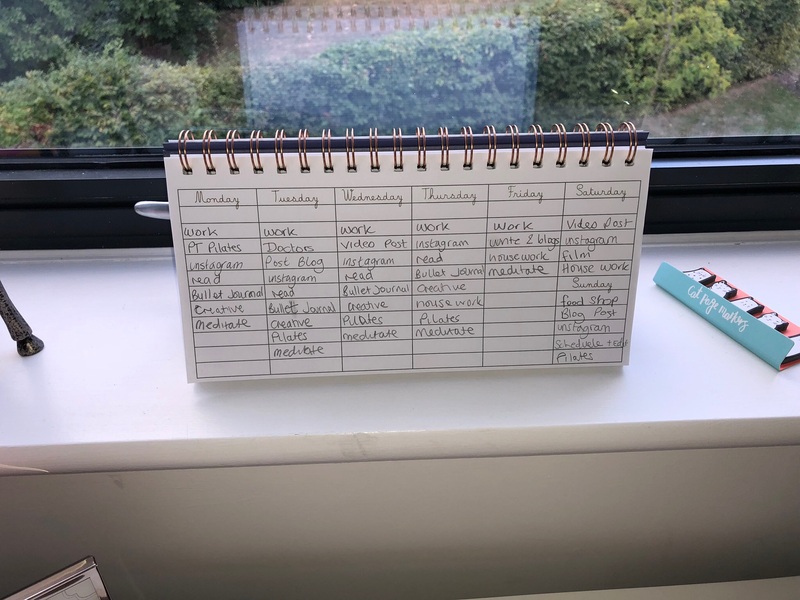 I write my planner out on a Sunday and work out what to do each day for the week. I know my plans for that week already but just incase things change I write in pencil. This week is slightly different because I have the doctors and also personal training pilates so these go down on the days I have to do them. Its basically like having a diary but visually displayed and includes more than coffee with friends. I tend to even write down things as Instagram post or blog/vlog post. Things I have to remember to do even if they are scheduled ready to go live. I post on Instagram 6 days a week and even though I use the app Later I still have to be on my phone at 6pm ready to transfer it over. Using my planner just reminds me to do so. Monday to Friday especially I don’t use my phone or iPad the hour before I go to bed. I shut off my phone at 9pm and split the hour up, first 20 minutes I complete my bullet journal, the next 20minutes I colour in my adults colouring in book and the last 20 minutes I read. This really calms and relaxes me before bed and I guess makes a better nights sleep for me. I guess in this time you can say I am meditating to, everything is silent and I am winding down for the night. I write in my diary to do these things because I use it as a check list. I have from 6pm when I have finished cooking and eating my dinner till about 10pm at night to do all these things. On weekdays anyway. I try to achieve all but if not the majority of the list. Its really important to balance out the things especially with a chronic illness. So this week like I said I have my pilates personal training so on Monday I don’t have to do the housework or my little 15 minute routine I do everyday if I am not doing the house work. But both my mini routine of pilates, the housework and my full hour session are all noted in my planner. You could look at my list and say but Mel you haven’t got a lot to do in those 4 hours, but to me I have to stage things and work through with breaks. I love to watch youtube videos and chill, make some jewellery or straighten my hair. So I do a planner task then do something that I enjoy. Not saying I don’t enjoy pilates or meditating but something calm in between tasks really does help with my stomach. It may sound weird to you that I plan even an Instagram post but this is my general tick list basically. It allows me to stay strong and live my life like I should be. It keeps me organised and doing more than I would if I was Just trying to remember everything. I work better and achieve more by reading what I have to do. 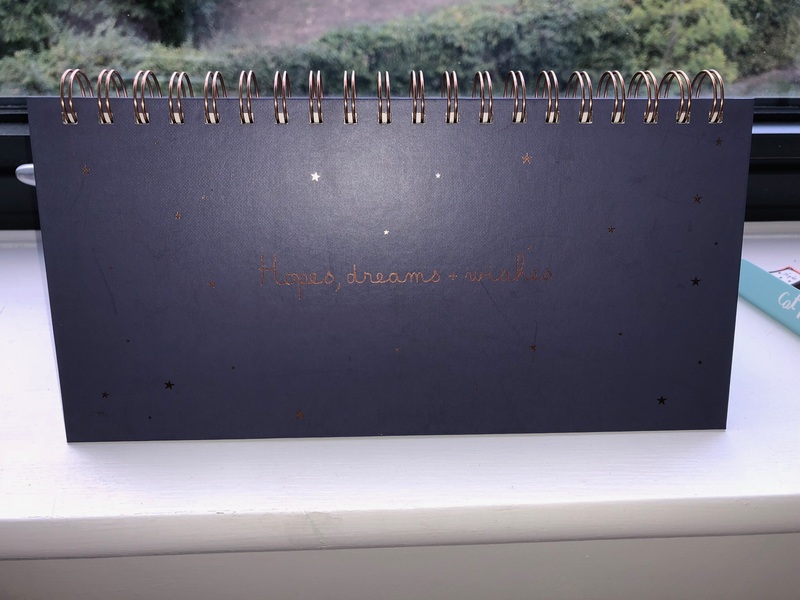 For anyone who would like the same planner as me mine is from Sainsbury’s. They have some super cute planners out there. Do you use a planner? How do you use yours? Actually, scheduling when to post items is a good idea. Especially if you have to post manually. that way you don’t forget and you are regularly interacting with your following. It sounds like you have a good winding down routine. That’s something I could improve. Thank you for sharing. Absolutely love this! 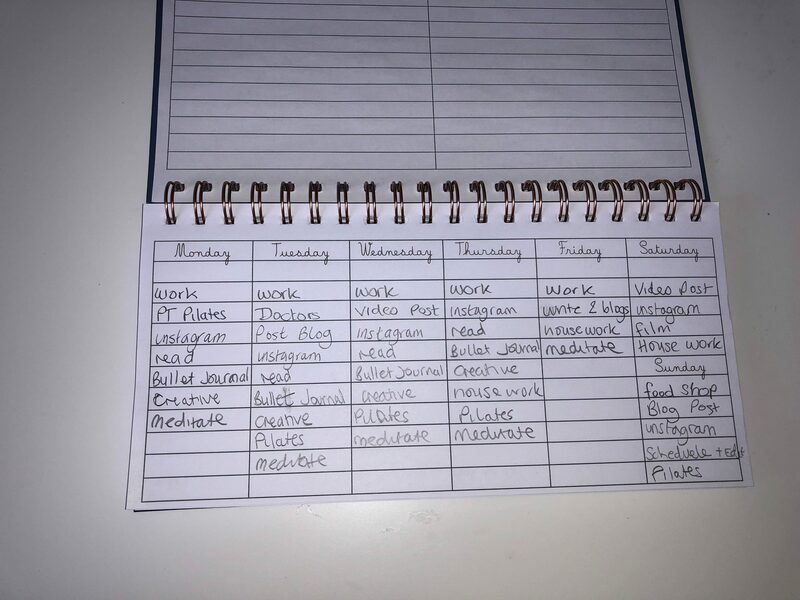 I’m going to start implementing some of your tips when planning out my week ! !